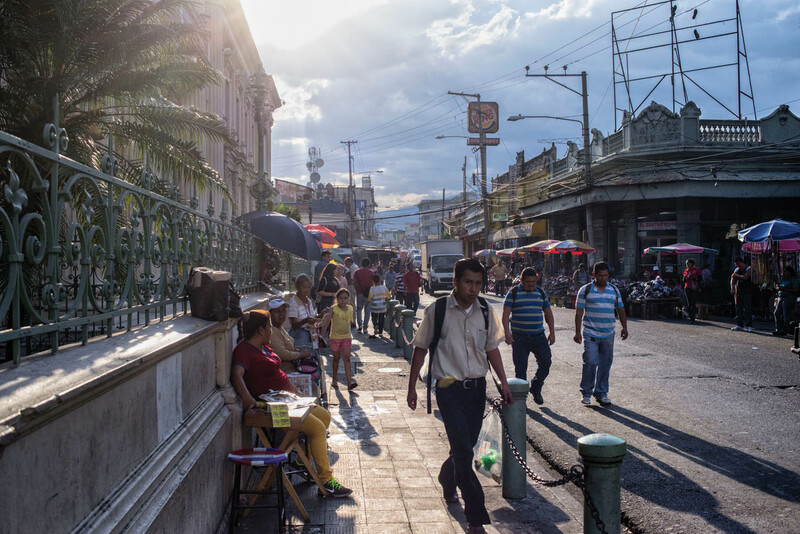 Though San Salvador’s Mercado Central is statistically one of the most dangerous zones of one of the most dangerous cities in the world, an outsider wouldn’t know it just by walking through. It is, admittedly, congested, stretching across a few dozen blocks that throb with tens of thousands of vendors, clogging the roads of the Salvadoran capital’s heart with makeshift stalls and tables that spill over with anything you could think to buy: stacks of clothes and fruit, underwear, cheap plastic toys, bars of soap, knockoffs of coveted North American brands—Levis, Converse, Adidas, Nike. Women hawk tamales and bags of cut papaya, or ladle steaming coffee into flimsy Styrofoam cups that buckle from the heat. Boys push wheelbarrows of ice water, bananas, and mangos past rows of mannequins modeling cheap leggings for sale. This is one-stop shopping at its most frenetic. Life and commerce thrum. Violence here is largely invisible—until, of course, it isn’t. 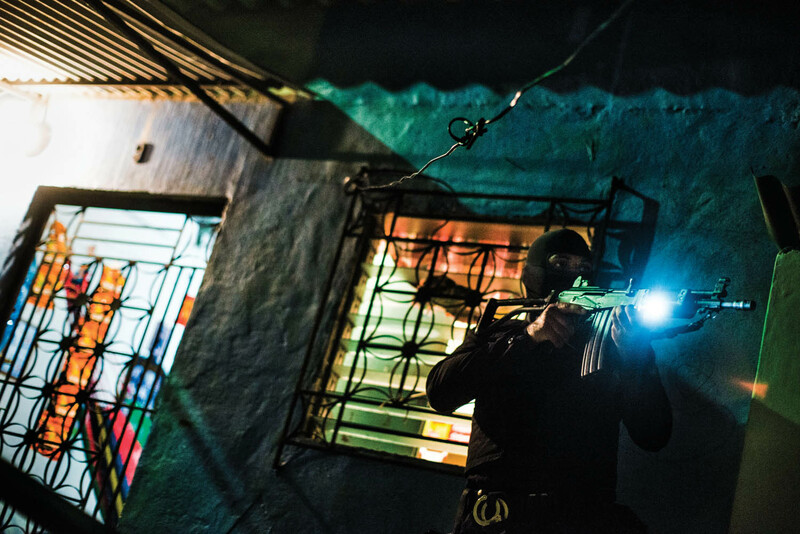 San Salvador is both the political and homicide capital of El Salvador, a country where, most recently, a plague of murders has surged after the unraveling of a two-year-old gang truce in early 2014. Gangs have been running Mercado Central for years; according to Salvadoran journalist Oscar Martinez, in a 2015 report on the swelling of violence in the city center, they tell vendors “where they will sell, how much they will pay for the space to sell… . Sometimes they even tell them who to vote for.” Gangs come to the market to recruit kids to join their ranks, or to collect renta—a euphemism for extortion money—from vendors and stores, or to menace and, when they deem it necessary, to kill. All of which has provided justification for San Salvador’s young mayor, Nayib Bukele, to attempt to solve the problem of this rag-tag market, in part, by dismantling it. This is an ambitious project for Bukele, an upstart politician who, at thirty-three, and with just three years of experience in public service, won the most important mayoral seat in the country in 2015. Previous mayors have attempted to physically remove unregistered vendors from Mercado Central, which led to all-out riots. Bukele’s strategy is to entice them to move by building new markets just outside the city center (construction is slated to be completed by 2018). Instead of haggling from makeshift stalls in the middle of sidewalks and roads, his plan would allow vendors to operate through leases, in conditions that are safe and sanitary, with plenty of security and opportunities for a diversity of businesses to thrive. The plan, known as la Reordamiento (the Reordering), also calls for the revitalization of the city center, where the country’s oldest and most majestic buildings—including the city’s main cathedral and the national theater and library—stand in disrepair, nearly forgotten. 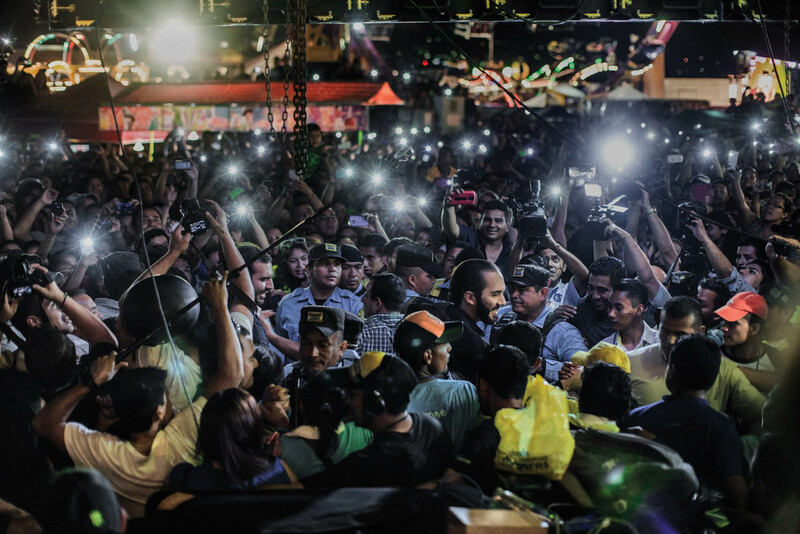 Such an aggressive embrace of gentrification is Bukele’s way of addressing a fundamental disconnect between the rich and poor in Salvadoran culture, which he sees as one of the root causes of the country’s violence. If you know your neighbors, Bukele explains, you won’t try to kill one another. “Nayib cannot make us move!” someone else shouted. That someone of Bukele’s profile and limited political experience could gain control of a capital city so deeply marred in violence suggests a pervasive impatience among Salvadorans anxious for a new way forward. Disenchantment with the country’s two major parties runs deep. Bukele’s party—the leftist Frente Farabundo Martí para la Liberación Nacional (FMLN), which began as a group of guerrilla revolutionaries during the civil war but whose leaders have lost their populist edge and have participated in the very corruption they once so vehemently critiqued—are seen as sellouts. The conservative Alianzia Republicana Nacionalista (ARENA), which controlled the government of wartime El Salvador, are seen as corrupt guardians of the elites’ wealth. Bukele, meanwhile, is met with the fanfare and admiration of celebrity, something that has become exceedingly rare in this disaffected political landscape. In the past year, while reporting on the violence in El Salvador and the exodus of families it has unleashed, I’ve heard Bukele’s name—Nayib, Nayib, Nayib—issued like a trumpet call, from schoolyards in Oakland, California, to cornfields in El Salvador’s sun-parched east. His popularity is such that, indulging more than a little skepticism, I put considerable effort into finding someone outside the Mercado Central who would speak ill of him. But on the left and on the right, the rich, the poor, artists, government officials, skate punks, journalists, architects, farmers, business owners—almost anyone who has heard of Bukele seems to revere him. Even those who oppose his policies concede that he’s making profound changes, and thus, at worst, speak of him with a distanced admiration. Popularity may not be an obvious remedy for solving a full-on social crisis, but it is at least a galvanizing force—and, in El Salvador’s case, a timely one. Nearly twenty-five years after a catastrophic civil war, El Salvador is now effectively at war again. The country’s three main gangs—MS-13, Barrio 18, and the 18th Street Revolucionarios—control most towns and cities, and battle over territory, making money, meanwhile, off of small-time drug deals and extorting businesses large and small, as well as residents. To cross a gang—to disrespect a gang member, or neglect to pay rent, or pass into a rival’s zone—is to risk death. Though El Salvador is about the size of New Jersey and comprises less than 14 percent of the population of Central America, it accounts for more than 35 percent of the region’s homicides, nearly all of which occur with impunity. Meanwhile, the sheer number of gang members is growing. In 2013, government officials calculated that approximately 30,000 Salvadorans were members of gangs (including loved ones, family members, and other close associations, there are 470,000 Salvadorans—more than 7 percent of the population—with direct ties to gangs). Following the success and then unraveling of the gang truce, prisons are now at 325 percent of intended capacity; even tiny holding cells, meant for temporary confinement, are crammed with suspected criminals who spend months if not years awaiting trial. Police patrols are on the rise, and several illicit killings of suspected gang members—extra-judicious massacres that smack of the death-squad atrocities of the civil-war years—have been exposed by a dogged local press (who risk retribution from both the police and the gangs). In 2015, a total of 6,640 Salvadorans were murdered—an average of 104.2 murders per 100,000 inhabitants. (By comparison, in 2014 the US averaged five homicides per 100,000.) More than 3,000 people were murdered in the first six months of 2016—up 7 percent from the year before. Given the severity of these circumstances, it was almost baffling that Bukele hardly mentioned violence at all when we sat in his office in January, his people snapping photographs and filming us. He even tended to skirt the subject in favor of discussing his pet projects. “Look,” he explained when I pressed him. “If you have a headache, what would you take? A Tylenol. But what you have isn’t a Tylenol deficiency. You are stressed, or you are dehydrated, or something more severe. So you take two, and then that doesn’t work, and you take four, and then ten.” La violencia was a symptom of a more troubling disease, he argued, rooted in El Salvador’s long-standing poverty and structural injustice (more than 32 percent of Salvadorans live below the poverty line in gang-controlled areas). Though he was stating relatively basic principles of economic development, so mired is El Salvador in the current violence vortex that few policy makers are discussing the situation in these terms. At first glance, Bukele’s efforts—a Pop-Up Museum in the city center, launching a skateboard revolution, reorganizing the central market to offer walking paths and artists’ studios—seem like the unstudied pet projects of a rich kid whose internal logic reveals a starry-eyed worldview: Change the structural inequities, and peace and prosperity will follow. To do this requires not just money (Haiti, he points out, is still languishing in poverty despite several billion dollars in aid). More important is what he calls his “hidden project of inspiration,” the degree to which he can convince Salvadorans that their country has the potential for greatness. In Bukele’s estimation, projects like the city-center revitalization don’t just alter the physical reality of the city, but the relationship between citizens and the place they call home—and, by extension, their relationship with one another. That Bukele entered politics at all is some thing of a cultural anomaly. Born more or less the boy prince of a wealthy and well-respected Salvadoran business family, he seemed unequivocally destined to join the family’s business empire. His paternal grandparents emigrated from Palestine to El Salvador in 1913 and, over time, amassed a hodgepodge of businesses, including a construction company often contracted by the federal government, a public relations firm, a Yamaha motorcycle distributor, and a McDonald’s franchise. (In 1972, the Bukeles opened El Salvador’s first McDonald’s, which, after McDonald’s ended the franchise agreement, led to a protracted legal battle over the family’s refusal to shut down unauthorized franchises.) Bukele’s maternal side of the family has roots in El Salvador that stretch back to, as he put it, “before there was even a colony,” which Bukele is quick to point out lest he be considered anything other than a devoted Salvadoran. His entry into politics was accidental. After graduating high school, Bukele started working with his family’s public relations firm, Brand Nolck Publicidad, which had recently signed on a high-profile client: the FMLN. With the end of the country’s twelve-year civil war, in 1992, the FMLN was transitioning from a guerrilla movement into a legitimate political party, and sought to rebrand itself as a progressive, idea-driven organization that had divorced itself from militant tactics. Acquiring the FMLN as clients was a big gamble, since most large businesses in El Salvador are owned by wealthy conservatives who support the ARENA party. A client like the FMLN threatened to mar a PR firm’s pro-business image. Nonetheless, Nolck was willing to take the risk. Bukele was assigned to the account. The job led to a political awakening. “It showed me the reality of my country,” Bukele says. “It represented the people’s fight for justice.” Working with the FMLN had a profound effect on Bukele. Over the next few years, he enjoyed plenty of success—in public relations, starting his own companies, working with his family’s restaurant empire, and organizing a raucous concert series in the capital. (The fruits of being an heir to wealth and influence didn’t hurt.) These were profitable ventures, but they lacked a public mission; eventually Bukele grew restless, feeling what he describes as an unshakable moral imperative to try to fix social injustice in El Salvador. So, in 2011, at the age of twenty-nine, he left the business sector for a life in public office, as a candidate representing his former client, the leftist FMLN. Salvadorans can run for mayoral office in either their cities of residence or their cities of birth. Bukele was born in San Salvador, but at the time lived in Nuevo Cuscatlán, a small town on the outskirts of the capital, whose elites (the Bukeles among them) resided in hilltop mansions while the rest—approximately 70 percent of the town’s residents—lived in poverty below. Though there was limited gang violence in Nuevo Cuscatlán, its poor residents had no water or electricity, and scant access to health care or secondary education. Nuevo Cuscatlán also happened to be a longtime ARENA stronghold, whose mayor, Álvaro Rodríguez, enjoyed an 80 percent approval rating. Early polls for the 2012 mayoral election showed Bukele losing by 57 points. Giving a low-stakes candidacy in a sure-to-lose race to a young, know-nothing political arriviste like Bukele carried little risk for the FMLN—his campaign would cost them nothing, for one thing, because he could finance it himself. Plus, Bukele would add a young profile to the party—that of a businessman, to boot, which was a potent symbol for a party dominated by aging former guerrillas. He began berating his audiences during campaign talks and meetings. His general message had a What’s the Matter with Kansas? thrust: If you continue to vote for the party that does not support your interests, your lot in life is your own fault. By any playbook, this was campaign suicide. And yet people rallied around the message. In the end, Bukele edged out Rodríguez by less than 2 percent of the vote. Today Bukele’s mark on Nuevo Cuscatlán can be seen in a popular community center and library, a housing project that sought to provide alternative, long-term housing to communities of impoverished squatters, and a clean-water system for all of the city’s residents, subsidized by the upper class, who could opt in to the local water system and pay less for better water than they were getting from San Salvador’s public works office. Nuevo Cuscatlán quickly became a fashionable place to live. Bukele insists he had no intention of leaving his post in Nuevo Cuscatlán, but when the FMLN began testing out candidates for the mayorship of San Salvador, none of their candidates polled all that well. Bukele’s name kept coming up in the polls. After some deliberation, Bukele was invited to carry the ticket. Part of Bukele’s effectiveness as a politician stems from his commitment to his own creation—namely, the Nayib Bukele brand. His cerulean signs, emblazoned with self-congratulatory slogans—new ideas are invincible; revitalization of the historic center; your city works for you—adorn the city like flags, often cordoning off construction zones like caution tape. Six months into his tenure, he redesigned the city’s seal, which he now wears pinned to a blue blazer or, more commonly, a slick navy Members Only–style jacket he sports over a white-collared shirt. Reminders of his influence mark the city like a kind of municipal graffiti. Few seem to scoff at this self-congratulatory blitz. Unlike the civil-war years, when one’s political allegiance was often motivated by fear of dying a traitor’s death, Bukele’s fans adore him freely, emboldened, perhaps, by the feeling that they are choosing someone who does not appear confined by political tradition. In fact, he’s long since become disenchanted with his own party, the FMLN, and he’s outspokenly critical of its leadership—something that only increases his popularity and the sense that he operates according to his principles rather than to political allegiances. Of course, Bukele does have an enemy or two, including the mainstream Salvadoran press. The city’s two most popular legacy newspapers—La Prensa Grafica and El Diaro De Hoy—seldom run stories about Bukele’s projects and policies, leaning instead toward critique and attempts at scandal, including claims (so far unsubstantiated) that he launched a cyber attack against La Prensa Grafica, that his family receives federal contracts because of his influence on the party leadership, and that he appoints family members to government posts out of nepotism. (In early September, Bukele was sanctioned by the Governmental Ethics Tribunal for appointing his brother, Yamil, to an unpaid post as the President of the Municipal Institute of Sports.) As a result, Bukele has taken to social media to publicize his work, which has arguably expanded his influence beyond what the papers would have provided. He is known for tweets both quippy and declarative, Instagram posts that range from irreverent (an ongoing series depicting his fancy, flamboyant socks) to deeply reverential (a photograph of San Salvador’s Historic Center lit up at night). His impervious, off-the-cuff Facebook harangues give the impression, however genuine, of what the man behind the persona feels and thinks—straight-shooting passages that seem impulsively though eloquently written, void of political posturing and often replete with emojis. The feed itself, the content of which is supplemented by the team of photographers that beehive around him, documenting him constantly—is a simulacrum of closeness: We see him at home with his wife, mourning the death of his father, hotdogging on fancy motorcycles, helping repair a road in the city center, taking a snooze on a private jet, holding a child in a poor part of town, showing off his socks again. 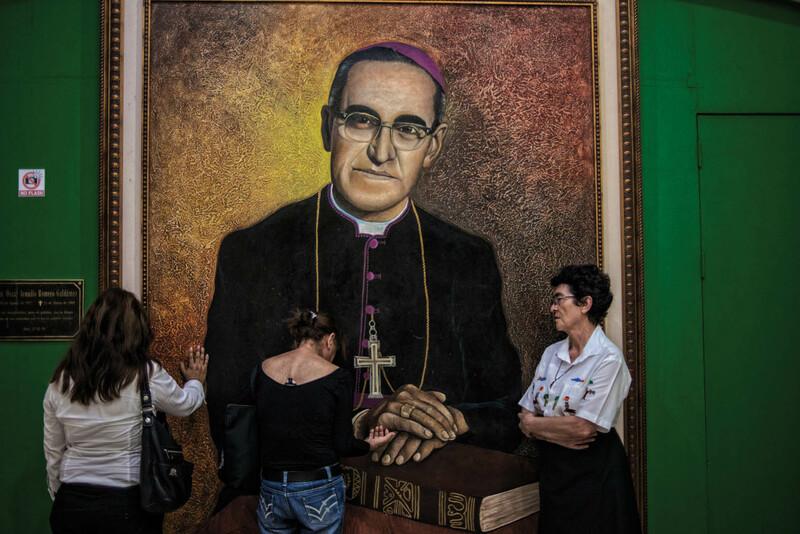 Yet as much as he’s deviating from his calcifying revolutionary party, when it comes to his “reordering” of the downtown, his ambition risks a collision with El Salvador’s deep-seated populism. His power hinges on being loved by rich and poor alike, on urban and rural groundswells, on the old and young. To lose the votes of all the vendors at Mercado Central wouldn’t necessarily break a campaign—there aren’t enough of them to sway an election—but it could potentially have ramifications that reveal him as a rich man with big ideas but who is no real friend to the poor. Bukele claims that his projects, however giddy, are at their core intended to improve the lives of San Salvador’s most needy. In January, he launched a public works initiative called San Salvador 100% Illuminado, whose premise was simple. “We will have a light on every corner of San Salvador,” Bukele promised the week before the project broke ground. 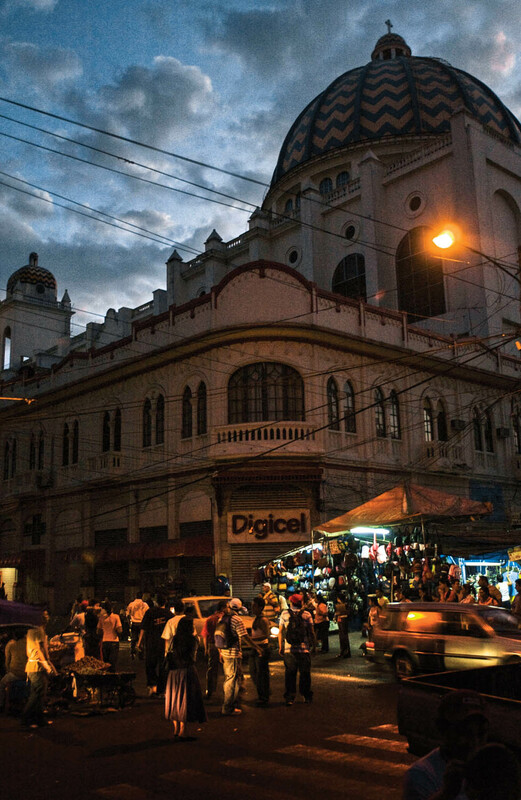 Part of the intention, of course, was to improve security in San Salvador’s worst areas—“but it’s also greater than that.” Bukele saw intrinsic value in Salvadorans being able to boast that their city—like New York, like Paris—was a city of lights, the cosmopolitan heart of a country, a city brimming with potential. By May 2016, on nearly every street in San Salvador stood a streetlamp, illuminating even the most shadowy, forgotten corners. In early 2016, as Bukele continued to carry out his project of inspiration—lighting up street corners and fixing potholes, reimagining the city center and Instagramming his socks and high-fiving kids as he passed them by—the federal government deepened its crackdown on El Salvador’s gangs. 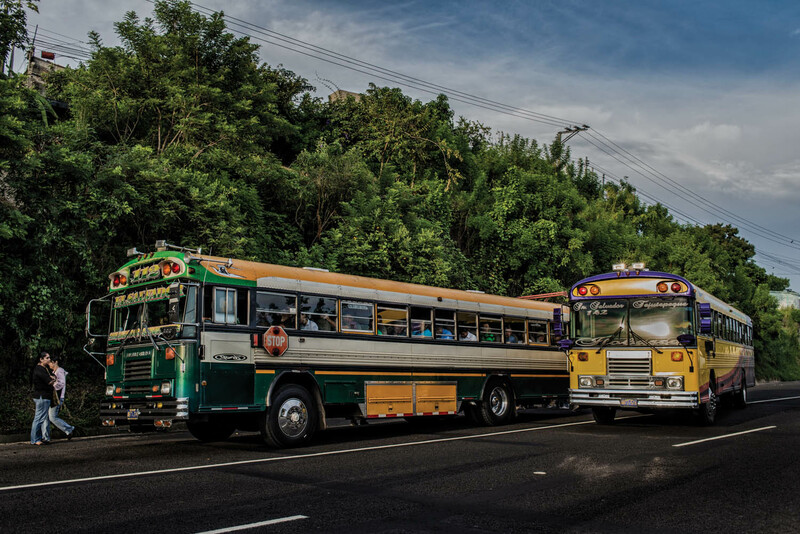 This was largely in response to the events of the previous summer, when the 18th Street Revolucionarios had effectively shut down most of the country’s bus system, assassinating eight bus drivers and two civilians, and threatening to kill any drivers who went to work. In response, El Salvador’s Supreme Court declared all Salvadoran gangs to be terrorist organizations, thus increasing the prosecutorial power against them. A state of emergency was declared at several of the country’s high-security facilities, and penal restrictions—which had been exceedingly lax for many gang members, who enjoyed easy access to cell phones, conjugal visits, even the occasional striptease—were tightened. President Sánchez Cerén announced the formation of a rapid-response police team to directly combat gang activity, and judges began issuing prison sentences to gang members of up to 200 years. Within a month of the video’s release, the country’s murder rate dropped from 611 to 353. (As of June, the rate had reached 331.) The gangs’ ceasefire seemed to be an invitation to the government to negotiate. But according to Cerén, negotiation wasn’t on the table. In a May press conference, Vice President Óscar Ortiz brazenly announced that, thanks to the antigang crackdown, the government’s mission was to “vanquish” the gangs within a year. By June, government forces had killed 346 gang members; conversely, according to estimates from the investigative outlet Insight Crime, only sixteen officers were killed during that same period. This was the Salvadoran government’s third incarnation of an antigang policy known as La Mano Dura (Iron Fist), whose genesis dates back to 2003 when ARENA President Francisco Flores wanted to project a tough-on-crime image, in spite of the fact that gang violence was relatively limited at the time. In 2006, President Tony Saca doubled down with his own variation of the program, which he called Super Mano Dura, using it to introduce harsh antigang laws. Bukele sarcastically refers to this current FMLN incarnation as the “Super Super Mano Dura,” pointing out that with each Iron Fist campaign the violence has only worsened, and the trauma to the country—the number of bodies flooding the morgues and prisons, the damage to a people’s psyche—has only deepened. In late January, I visited the National Civil Police’s central office in downtown San Salvador, where balaclava-clad officers armed with M16s stood guard around a yellow bus, surrounded by taut caution tape, stopped in the middle of the street. The bus’s rear window was shattered. A small murmuring crowd had formed at the perimeter. In front of the station’s door, a freckled woman, wearing an apron cinched distressingly tight around her waist, pleaded with one of the officers: “He didn’t do anything!” she cried. “Señora, we’re just searching them,” the officer said sternly. “Señora!” the officer shouted. “Please step away!” He took a heavy step in her direction, and she began wailing, refusing at first to retreat, pleading with him to let her in until he successfully edged her backward then marched her bit by bit to the perimeter. As I climbed the stairs of the office, a small paneless window looked into the police headquarters’ garage. There, on their knees, were ten young men, shirtless and with their hands behind their heads, while two armed, masked guards paced behind them. The detainees looked young, tattooless and gangly. I could see pearls of sweat on their skin, their backs gleaming in the dim room. I scurried up the stairs. “You want numbers of the disappeared?” the secretary asked, repeating my request back to me. She sighed. “That’s a bit complicated.” When I descended half an hour later, empty-handed, the men were still there, in the same position. “They were using that bus to extort money from people,” a police officer in the entry hall explained to me. Outside, he announced to the crowd once again that no one had been arrested. Bukele considers the reinstatement of Mano Dura to be a war against youth—against poor youth in particular, who are often arrested on mere suspicion through a blanket profiling law called agrupación illícita, or illegal congregation, which carries a punishment of three to five years in prison. The law allows officials to arrest anyone congregating in groups of three or more that have some appearance of official structure and intention of committing crimes—which is to say, they can arrest any pack of kids on mere suspicion of being up to no good. Ten days after he assumed office, Bukele issued a new decree to CAM San Salvador, the municipal police force, via Twitter: “I order @Cam_sansalvador to allow skaters to use the city’s plazas.” The city’s skaters, who had long been prohibited from skating in most public areas, had become vulnerable to the country’s anti-congregation laws, which had made skating extremely risky. Salvadoran skaters rejoiced over Bukele’s tweet, showering praise for their new mayor on social media. 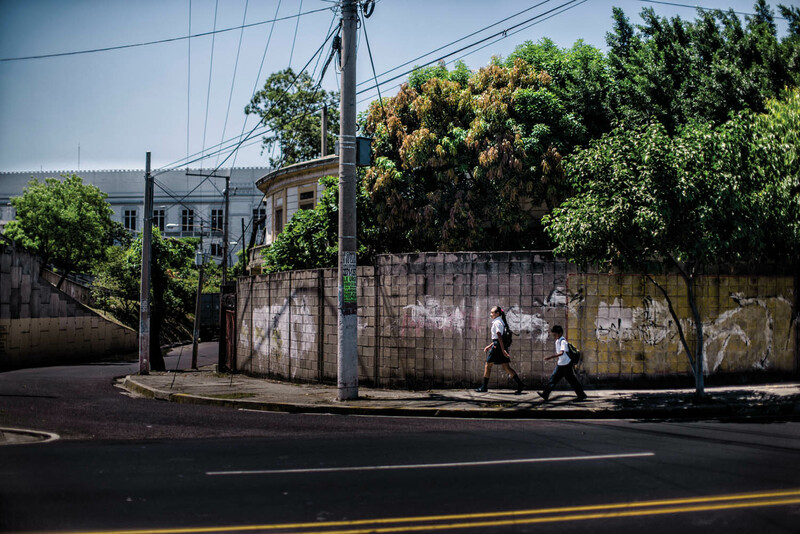 Contrary to what the decree’s opponents had assumed, kids who began skateboarding at San Salvador del Mundo, one of the capital’s more iconic plazas, formed a pact that prohibited smoking, drinking alcohol, and graffiti. These days, as Garay and others confidently point out, the plaza is safer than it has ever been. In Christmas 2015, hundreds of San Salvadorans gathered to visit the city’s Christmas tree, something they hadn’t done for years out of fear of violence. Or, they leave the country altogether. El Salvador is home to 6.34 million people; according to a Pew Research Center study, nearly 2 million Salvadorans resided in the United States in 2013—a third of the country’s population, and a higher percentage than even Mexico. This means that nearly all Salvadorans have some family ties to the United States. Perhaps one of the more revealing figures in this regard is that while the country’s exports totaled $5.3 billion in 2014, the total from foreign remittances in 2015—nearly all of which come from the United States—was $4.3 billion (up $125 million from the year before). In February, I visited a migrant shelter for youth in Reynosa, Mexico, just across the border from the United States. The day I was there, the locked shelter facility housed about twenty-five teenagers between thirteen and seventeen years old. Six of them were Mexican, having recently been deported from the United States; the rest were from Central America, including seven adolescent boys from El Salvador, who were waiting to be deported, and who all told me the same thing: Once they got home, they’d rest awhile, hang out with their families, then head north all over again. The kids were seated at folding tables in the spacious, well-lit recreation room. The day’s activity was music, and an older man energetically strummed his guitar, urging the boys and girls to sing along while they played rounds of Uno. Occasionally, a few of the kids chimed in or lazily shook a maraca. Though none of the Salvadoran boys in the shelter were from the capital city, they’d all heard of Bukele. Their eyes widened when I mentioned his name. A few months later, I mentioned this moment to Bukele, and mentioned, too, that every young Salvadoran I spoke with—in El Salvador, in Mexico, in my hometown of Oakland—seemed to adore him. “Too bad they don’t vote,” he said. By May the illumination of San Salvador was complete, and city workers had begun to disassemble several blocks of the Mercado Central. Bukele’s team posted a video of the efforts, titled “A Historic Success,” set to an inspirational score, on his YouTube channel. “To recover in just one month that which was abandoned for thirty years is truly a historic success,” read the captions. The camera pans across crowds of assembled municipal workers, across reordered streets, across new market stalls with the cathedral and national theater standing majestically in the backdrop. The shot approaches Bukele, who faces away from the camera, in the moments before a major public address on the steps of the Palacio Nacional. Cut to the workers, to the city. We never actually see the mayor’s face. It’s an act of humility, but it’s also a savvy theatrical trick, hinting at the specter of Nayib, who triumphantly surveys all the good work no one else thought was possible. On a dusty side street adjacent to the Mercado Central, where stalls once spread across a handful of city blocks, a phone vendor named Eric Canales was setting up his new shop amid screeching saws and the chaos of construction under a tight deadline. His face was covered in salt-and-pepper scruff. He wore a large silver crucifix around his neck and, around his waist, a blue fanny pack, in which he kept his neatly ordered dollar bills. Canales told me that the labor organizers who negotiated with the city had been promised that city workers would help them move. Instead, he’d had to scramble for help from friends and family. He reported that the government workers were asking for bribes to connect electricity and to help the merchants relocate—something that’s nearly impossible to prove. Either way, the move had cost him two weeks of business, and his regular customers now didn’t know where to find him on this side street still half under construction. “We lost our rhythm of sales,” he told me amid the hammering. Sparks fell onto his ledger and he brushed them away. The space he was given was, he estimated, about half the size of his previous space. This was only a temporary relocation; when the promised new, state-of-the-art markets were finally completed, he’d be asked to move again. As far as Canales was concerned, the reordering of the city center was for the benefit of bigger businesses. Vendors like him were mostly on their own. Considering his popularity and ambition, it appears almost a given—despite his insistence otherwise (or, more likely, because of it)—that Bukele will run for president in 2019. “I see my candidacy in 2019 as impossible,” he told me. He has to run for mayor again in 2018, and won’t have the energy and resources to run two campaigns back-to-back. Nonetheless, Bukele continues to project the idealism that anything is possible, that the city’s real problem is its deeply rooted cynicism. Where does his optimism come from? It seems wrapped up in the FMLN’s for-the-people origin story and its confounding riddle of success. Bukele told me a story about his time as mayor in Nuevo Cuscatlán, when the regional government used to have meetings in a central office in a nearby town. In the office hung a badly done painting of a military officer. Bukele had never paid much attention to it until, one day, while waiting for a meeting to start, he looked up the name of the subject—Comandante Dimas—on his phone. He learned that in the final offensive of 1989—one that precipitated the end of the civil war—the FMLN guerrillas set out to take the capital with only 10,000 troops, a number easily routed by the Salvadoran army. The guerrillas were certain that the people of San Salvador would join them in the streets to fight against the government and its oligarchy. Each guerrilla carried two guns: one for him or herself, and one for the comrade who would exit his home and join the war of liberation. It turned out that very few people joined the fight, and the guerrillas were, indeed, overrun. Comandante Dimas was in charge of a guerrilla columna, comprising about 100 soldiers. They were on the offensive on San Salvador’s outskirts, and the army’s forces had them under siege. “They’d be dead in three hours,” Bukele said. “So this guy was the boss of everyone else, and he could say, ‘Okay, I’m leaving. I’m the most important one, I’m leaving and you cover me.’ But he did the opposite. He took his two rifles, one in each hand, and said, ‘You leave, that’s an order.’” The comandante provided cover, spraying bullets into the air to distract the army as his soldiers retreated. Though he died in the firefight, all his soldiers escaped. Telling this story, Bukele dropped his usual bravado and appeared to be truly moved. Even if many of the FMLN have abandoned the idealism and valor that shaped the movement, Bukele said, at the party’s core, at its essence, these values persisted. Juan Carlos’s work has been featured in the Wall Street Journal, Marie Claire, BuzzFeed News, and elsewhere. He is based between San Francisco and San Salvador. Great story, beautifully written. Great potential, great polititian (one of the few). Will he succeed? I hope so, but certainly doubt it. A mayor in a third world country has nor the budget, nor the power or resources to do so. Bukele will have to use a lot of that "inspiration" he talks about. Highly skeptical, but hopeful. As a Salvadoran myself I highly wish for him to succeed. He resembles what most people lack of: willingness to work for others and not for yourself or a handfull of others. I am sure that he will prove himself to be correct in his assessment of the deeply rooted deafeatism in El Salvador. He offers a clearly thought out plan that can only succeed. We have all the resources here in the USA and are exactly steering off a cliff towards policies that only make matters worse like the war on drugs, war on terrorism to name a couple dissasters. Bukele is combatting the roots and causes instead of the lost and fritless battle against symptoms. With all due respect, try to see things under a clearer light (no pun intended). Salud amigo. Bukele has a pendant etical issue for mirroring websites; since February 2016 Bukele has been renting an empty building and paying $84,000.00 (citizen's money)by month till' now (building owner is Bukele's cousin) Nayib promised to builda new Mercado by August 2016, still waiting for! !So he is a not honest man. its very funny that somebody that is not living here can say something about our mayor, if you really know this mayor as we do, you will know that this report is nothing but lies. the las place he was mayor, now is in bankrupsy due all loans he did to the banks, now, its doing the same thing, a lot of marketing saying he is doing a lot of things, but if you go to those places, there is nothing done there. Pues a simple vista esta todo lo que que hace. Que tu como los de la prensa grafica y el diario de hoy, no quieren aceptar es otra cosa. Be careful !! don't let then you think Nayib is the key to find peace in my country, He didn't do anything yet to show us he is the kind of politician we are looking for, but , we are expecting something from him . because we really need a change and send out all the bad politicians. This article has a little of bitterness and sweetness but I enjoyed and that's the most important thing Nayib Bukele everyone is expecting so much from him and all the people is waiting what is he going to do next? But people do not understand that we can change too we could help too instead of waiting for a change. the sweet thing is Nayib! But the bitter thing is us because we wait and theres no action it's understandable that the Gangs are a huge problem but we are part of the problem too because we don't support and most of the people is corrupted in somehow the path that he is tracing is enormous but could more big if we cooperate too the risk is high we know but the results can be awesome. I live in San Salvador and I vote for him and my vote worth it because I can see and new era for my lovely city. "Hope" is what comes to my mind when I hear the name "Bukele" what comes next is foggy but as long as there is hope everything is possible keep up the good work Nayib. Is this for real? I was really hoping this is one of those news satire pages because it couldn't be more distant from Bukele's politic profile. He's a political clown, a demagogic politician who hasn't done a bit of what he promised in campaing. Bukele is popular among some people because he takes advantage from their politic ignorance. I hope at least the writer recieved a good pay for this bad joke. Buekele is, by far, the only hope for El Salvador. Corruption is leading the country to be run by delinquent groups. The people has found in Nayib Bukeles an exit to their frustration from the current government. El Salvador will required a root change in the government for the country to find a better future. My only fear, is that the stablishment will try everything in there playbook to destroy this young fresh new type of polititian. I hope Nayib has not only stary eyes and good wishes (or event capacity and great ideas), but know a trick or two (if he wants to keep himself and his projects standing). Right so you made a profile as a publicist, this is sad journalism, incredible. Now you have ro write a story actually interviewing critics and regular citizens who don't work with him. GO. This is PR journalism. The writer has so much facts wrong that you wonder if it's just poor reporting or if she just wrote what Bukele's PR team told her..
On the other hand, she is wright (because Bukele is wright) about the failure of the mano dura policy tje FMLN abrazed, much more agressively than any previous government. But Bukele is not offering any serious alternative. He es very eficiently using permanent PR substituting policy, and the athor fell for it. His policies are no sustainable, he left Nuevo Cuscatlán deeply in depth and the same is happening with San Salvador. Corrupt... We know who you are. Oh, Paolo, you are a clown, I really wish one day you can stop being a political idiot and realize how the past 15 years you have only gotten a bad image out of your "ideals" to fix this mess. YOU did not break this country and you surely are NOT going to fix it either. Awesom article. Very informative and clear in elaborating the essence of Mr Bukele's efforts and apparent idealism. I agree with his vision and understanding of the core issues and defeatist attitude of many compatriots. His projects are functional and will help very much in changing the causes that effect such a negative swathe on Salvadorean culture. My camera and I visited the downtown market many times when I lived in El Salvador. As an oblivious gringo who didn't speak much Spanish, I'm sure I was taking big risks, but I never felt threatened. 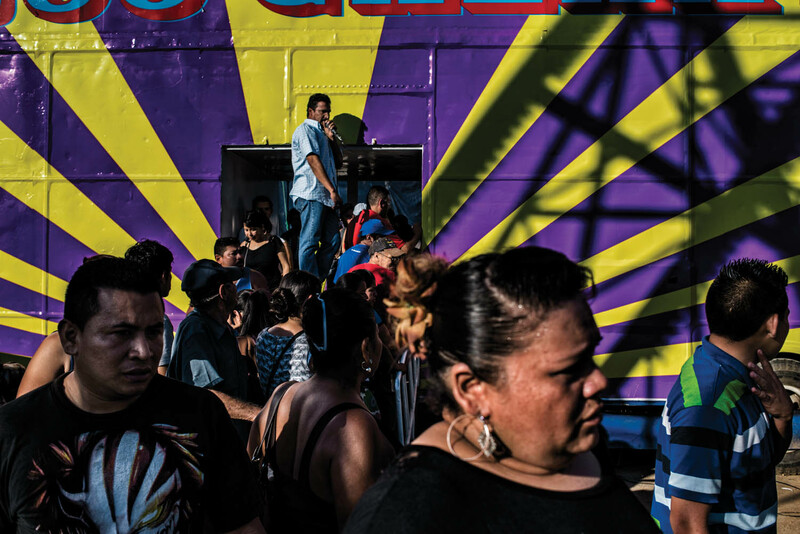 The Salvadorans I photographed were a little surprised to see me in their midst. Thanks so much for this excellently prepared article about the "hope" of our small, devasted country. He deserves recognition! It is very important to highlight the works, despite all the obstacles of fanatical people who can not understand the actions of a real public servant and positive thoughts. I find this article a little bit influenced by Mr. Bukele and his ideas. I think the autor should've done more research about the reality here in El Salvador and that TITTLE WAS TERRIBLE!!!! . Mr. Bukele was right about the main problems in El Salvador and for that case he should know that he's not doing nothing to fight with it. He's more interested in things that generates him more followers, who admire him. For example, He's more interested in a refuge for dogs, than for kids who lives in the streets, if you go to through the city at night you will see a beautiful lightining city but look in the darkest part, next to the malls, there are plenty of people on drugs, unemployed, kids eating what they find on streets. I don't see him interested in that kind of problems! He's just doing what he can have more publicity. He's a good politician, I have to agree, he's following his own interests and he's an opportunist like every good politician in this world!